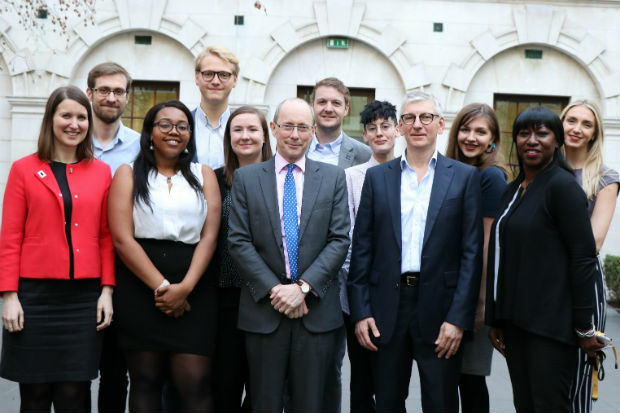 Blog posted by: Sir Andrew Dilnot, 27 February 2019 – Categories: Better policymaking, Civil Service Leaders, Improved outcomes. Sir Andrew Dilnot was appointed as the Chair of the Geospatial Commission on 1 January 2019. Here, he reflects on his first weeks in post and his reasons for joining the Commission. We are living through an extraordinary period of technological change, fuelled by consumer appetite for engaging with our increasingly digital economy. Data, in all its forms, is central to much of this change, and geospatial data – that is, data about location – is a vital element in this. The UK’s status as a world leader in geospatial data in particular presents an exciting opportunity to realise value in the applications and services it underpins. Personally, I have seen the extent to which my daily life depends on and is affected by geospatial data, from finding my optimal route to work, to striking new possibilities in social scientific research. I applied for the role of Chair of the Geospatial Commission having spent almost four decades working with frameworks that use data and evidence as the language of public policy and debate. Thinking about taxation and public spending in the early 1980s, it was already clear that what we now call geospatial data could be of great use, it just wasn’t readily available. As Chair of the UK Statistics Authority, earlier in this decade, the significance and value of geospatial data was clear. Advances in technology, processing power and analytical methods opened up new ways for us to provide insight, and geospatial data was often a key to unlocking the value of other datasets to shed new light on the challenges our country faces. Considerable effort was put into transforming the Office for National Statistics, developing a Data Science Campus and wider digital capability. Currently, as Warden of Nuffield College, Oxford, I know there is wide interest and excitement amongst my academic colleagues about the scope for using geospatial data in addressing a wide range of important questions, from the macroeconomy, to population change and migration, the environment, health, and many more. Since the Geospatial Commission has been established we have already made a strong start in collecting evidence to inform our future priorities. We have focused on learning from sector views and evidence, through last year’s Call For Evidence and roadshows across the UK. We will say more on the Call For Evidence in due course in the context of our future priorities. We have already made some initial investments to support and start to build a business case for larger programmes that aim to improve our geospatial data ecosystem, and look to see high-value-use-case outcomes in areas such as infrastructure and construction, property and planning, and transport. If you want to read more about geospatial announcements so far please see here. I have spent my time so far learning about the geospatial sector, its wider economic relevance and the key strategic challenges with establishing a coherent strategy that represents the range of interests and directions in which our activities could be taken. I am looking forward to learning more, and continuing to engage widely, including with our six partner bodies. The layering and integration of geospatial data with other data sources has the power to transform the lives of UK citizens and grow our economy. Its cross-cutting uses are accordingly manifold. Targeting the attention of the Geospatial Commission through a clear framework that guides our geospatial policy priorities to interventions that will have a demonstrable economic impact and where there is evidence of high value outcomes is now our task. Alongside Nigel Clifford, who has been appointed as Deputy Chair of the Commission, the other Commissioners and our great team, I look forward to tackling the bigger and more fascinating questions as we develop the UK’s National Geospatial Strategy, working closely with the devolved administrations. We want the Geospatial Commission to be an open, collaborative, challenging and expert organisation and look forward to working with you all to develop and deliver its important agenda. We are keen to hear views from the geospatial sector and beyond, so if you have any feedback please do get in touch via geospatialcommission@cabinetoffice.gov.uk.